The last time these two teams met in Happy Valley, a blocked kick resulted in an upset win for the Nittany Lions. The Big Ten is a conference of hard-nosed, tough running, defensive football teams, right? Not these two. Ohio State is averaging 54.5 points per game, second in the country. 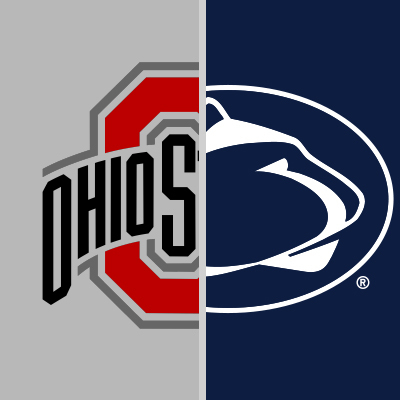 Penn State can do them one better, leading the nation by scoring 55.5 points per game. The Buckeyes offense has been on fire through the first four weeks, led by sophomore quarterback Dwayne Haskins. The Potomac, Maryland native has Heisman Trophy numbers through four games, completing 76 percent of his passes for 1,194 yards, 16 touchdowns and just one interception. But Ohio State doesn’t just rely on throwing the ball, they have the top running back tandem in college football with J.K. Dobbins and Mike Weber. The duo has accumulated 622 yards on the ground and averages 5.8 yards per carry. Four different Buckeye wide receivers have more than 10 catches this year and that doesn’t include Terry McLaurin, the team’s deep threat, who has nine catches for 218 yards and four touchdowns. Defensively, Ohio State has talent all over the field. They seemingly replace All-Americans and first round draft picks year after year. This season, they rank fifth nationally with 15 sacks so far and are 25th in total defense, holding opponents to 323 yards per game. The Buckeyes will have to replace stud defensive end Nick Bosa, who is out after having surgery for a core injury and may miss the rest of the season. The Penn State offense has a Heisman hopeful of its own, senior quarterback Trace McSorley. In his third year starting, McSorley has thrown for 763 yards and eight touchdowns this season and added 235 yards and six more scores on the ground. The biggest concern for the Nittany Lions this fall was replacing standout running back Saquon Barkley, but PSU has found a capable back in junior Miles Sanders. Last week’s Rose Bowl Game Big Ten Player of the Week, Sanders has nearly 500 yards and five touchdowns this season, including a career-high 200 yards and three scores against Illinois last week. On the other side of the ball, the Nittany Lions have had plenty of defensive turnover from their Rose Bowl Game team in 2017. At times this year, they’ve struggled on defense, including surrendering 28 fourth quarter points to Appalachian State and allowing 174 rushing yards to Illinois in the first half last week. But the Nittany Lions have rotated in a lot of young players and have plenty of players with game experience. Senior defensive end Shareef Miller leads all Penn State defenders with six tackles for loss and three sacks this season. All-in-all, this is shaping up to be a very different game than it was in 2016. As mentioned at the top of this preview, Penn State won, 24-21, in front of a whiteout crowd. This year’s matchup is another whiteout in Happy Valley, but could be the type of game where the first team to 40 will win.  The first meeting for these two teams was the 1925 Rose Bowl Game, when Knute Rockne and the Four Horseman defeated Pop Warner and Stanford, 27-10.  Rockne was inducted in the Rose Bowl Hall of Fame in 2014, while Warner will be inducted later this year. 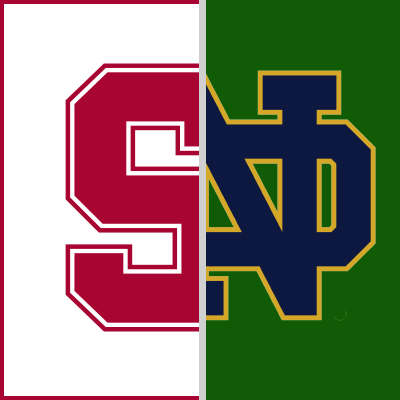 Last week, Stanford played in perhaps the game of the year so far this season with a 38-31 win over Oregon. The Cardinal trailed 24-7 late in the third quarter and 31-28 with a minute left in the game, but recovered a late fumble and kicked a field goal as time expired to send it to overtime. Stanford scored in overtime and held the Ducks out of the endzone for the victory. Running back Bryce Love is the focal point of the Cardinal offense, but quarterback K.J. Costello has stepped up in 2018. The junior QB has 1,056 yards and 10 touchdowns compared to just three interceptions.  Costello has had a great connection with senior wide receiver JJ Arcega-Whiteside, who won Rose Bowl Game Pac-12 Player of the Week back in week one. Arcega-Whiteside has 17 catches this season for 408 yards, or almost 40 percent of Costello’s passing yards, and seven touchdowns. Costello also has a couple of giant tight ends, junior Kaden Smith (6-5, 252) and sophomore Colby Parkinson (6-7, 240), who have combined for 26 catches, 361 yards and three touchdowns. Defensively, the Cardinal rank 10th in scoring defense, allowing just 13.5 points per game. They have had to replace plenty on the defensive line in the last few years and may not be as stout against the rush as they were in year’s past, but the Cardinal secondary is stepping up. Sophomore cornerback Paulson Adedo leads the country with 11 pass breakups, while senior Alameen Murphy and junior Malik Antoine have two interceptions each. Senior linebackers Bobby Okereke and Joey Alfieri have 4.5 tackles for loss to lead the team. Notre Dame made a big change on offense last week. Despite a 3-0 start, head coach Brian Kelly named junior Ian Book the starting quarterback over Brandon Wimbush, who had started 12 games in 2017. Book responded by completing 25 of 34 passes for 325 yards and 2 touchdowns, while adding 43 yards and three more scores rushing in a 56-27 win over Wake Forest. Prior to inserting Book into the offense, the Irish were struggling to move the ball and score. Through the first three weeks, they ranked 104th in scoring offense and 100th in total offense. Defensively, the Irish returned 10 starters from 2017 and for the first time in in four years, they return their defensive coordinator. Statistically, Notre Dame doesn’t stand out on defense. They rank 65th in total defense (76th against the pass and 62nd against the run), but are 33rd in scoring defense (19.3 point per game). They’ve done enough to win, having only surrendered more than 20 points once, last week against Wake Forest, but now face a Stanford squad that has scored 30 points in three of four games this season. The Cardinal have owned this matchup over the last decade, winning seven of the last nine meetings. Love has yet to truly break out for Stanford this year, but with a chance to do so in front of a national TV audience against a top-10 team would propel the senior running back right back into the Heisman discussion. BYU was very un-BYU-like last season. The Cougars finished the year 4-9, with the four wins coming against teams with a cumulative 10-38 record. But its 2018 and the Cougs look like a different team. They’re off to a 3-1 start, including a win over Wisconsin, who was #6 at the time of the game, in Camp Randall Stadium. The Badgers hadn’t lost a non-conference home game since 2003. BYU doesn’t have eye-popping numbers this season, they rank 117th nationally in total offense with 320 yards per game, but they have protected the football, with just three turnovers all year. Senior quarterback Tanner Mangum is 25 years old and plays like an extra coach on the field. The biggest offensive change from last year to this year is the explosion of senior running back Squally Canada. The California native has 322 yards and is averaging 5.3 yards per carry to go along with five touchdowns. Defensively, the Cougars have one of the most unblockable players in college football. Senior defensive end Corbin Kaufusi is a monster on the edge and in the backfield. Standing 6’9” and weighing 275 pounds, the Provo, Utah native is playing for his hometown school and giving Cougars fans something to cheer about. He has racked up a team-leading four tackles for loss and three sacks already this year. Kaufusi is occupying lineman so players like senior linebackers Zayne Anderson and Sione Takitaki can rack up tackles. Overall, the BYU defense has forced two turnovers per game, hold opponents under 200 yards passing per game and rank 28th nationally in total defense. For Washington, the schedule doesn’t seem to get any easier early in the season. The Huskies opened with a game against Auburn in Atlanta, then followed up with physical Pac-12 conference games against Utah and Arizona State. Despite playing a tough schedule, the senior-laden Washington offense is racking up 430-plus yards and 27.3 points per game. Senior quarterback Jake Browning will leave UW with nearly every career and many season passing records. This season, Browning has thrown for 966 yards and seven touchdowns. Senior running back Myles Gaskin has also been a staple in the Huskies offense during the Browning-era. Gaskin has run for more than 1,000 yards in each of the last three seasons and is well on his way to becoming just the 10th player in NCAA history to have four 1,000 yard rushing seasons. This Husky defense may not be the best they’ve had under head coach Chris Petersen, now in his fifth season, but they’ve been strong to start the 2018 campaign. Washington ranks fourth in the country in scoring defense, holding opponents to 12.8 points per game. Typical of a Petersen defense, they limit big plays in the passing game, which is why the Huskies are ranked 15th in defensive passing efficiency and 11th in passing yards allowed. Washington has been known in the last few years for their stout defensive lineman and ball-hawking defensive backs, but it is the linebackers taking center stage in 2018. Senior Ben Burr-Kirven, last week’s Rose Bowl Game Pac-12 Player of the Week, has led the team in tackles each game and has 30 more tackles than anyone else on the Huskies. Wherever the ball goes, you can find Burr-Kirven. Expect to hear his name a lot on Saturday. This is a battle of two teams in which the numbers don’t tell the story. Both have quietly gotten the job done this season in many different ways. They’ve split their last two meetings, with the home team winning each time. 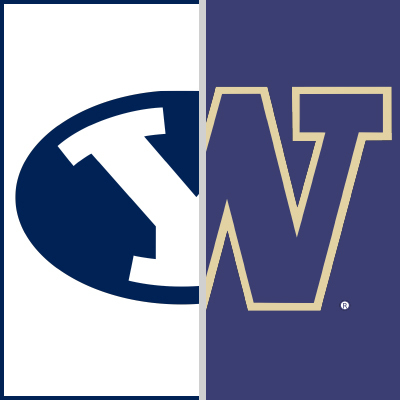 Home field advantage should give the Huskies an edge, but the Cougars have proven that a hostile environment won’t rattle their cages. This will be a fun one to watch.